Hi there and welcome! You have found what has been called some of the best, most helpful, parent-friendly and practical IEP meeting advice for parents. Since my first blog post in 2011, it has really evolved. Glad you’re here! You will definitely want to bookmark or pin this page and come back to it as a reference. Click here for the FREE IEP goal tracker! If you would like more information about me as a blogger or my PR page. I want to buy the IEP organizer I’ve been hearing so much about! While every child and their situation is different, here are some very common questions or issues that we see. Check and see if your issue is in here first. If not, ask in the Facebook group. I have questions about ESY-Extended School Year. My school is not following the IEP. I want the school to stop calling me to come pick up my child. I have a manifestation hearing and I have questions. How do I know what evaluations to ask for in the IEP? They keep taking away his recess! 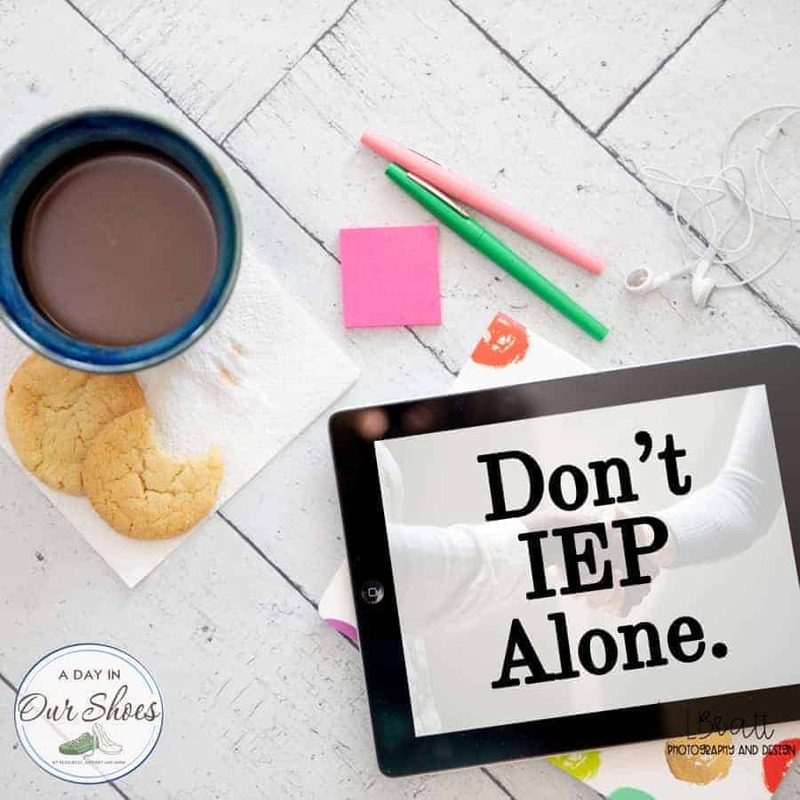 How do I get an IEP? I just want to see all of my child’s IEP records. My child needs an aide or 1:1 added to his IEP. I need to write the school a letter and could use a template. I’m preparing for an IEP meeting and I need help. I just had an IEP meeting and am unsure about what happens next. Do I have to tell the school about my child’s medications? It’s my first IEP meeting! I was told that my IEP child cannot go on a field trip. I want to observe my child’s classroom. What’s the difference between a 504 and an IEP? I didn’t receive a draft copy of the IEP before the meeting. Truancy and absences, what is different with IEPs? Do charter schools have to provide IEPs? My child needs X, Y, Z but I was told that they don’t do that here. I want to record my IEP meeting. How do I check to see if a teacher/therapist is qualified? If yours is not one of the above questions, up at the top of the page is a search option. Click here for IEP Goal or Accommodation/Strategy Ideas. Where can I find a special education/IEP advocate? Start with your state’s Protection and Advocacy group. Call and ask if they have Special Education Advocates. Call around to other advocacy groups such as the Arc, NAMI, CF Foundation, etc. Many times these groups will be able to direct you. Do an internet search. Some places call them parent mentors, parent partners, parent buddies and so on. Some professional organizations like COPAA maintain a list on their website. Pennsylvania has Right to Education Task Forces in every county. By law, these are parent-led groups and often have knowledgeable parents leading them or participating. A good resource to find advocates.